Luann de Lesseps Calls Out Ramona & Dorinda Over 'RHONY' Reunion! 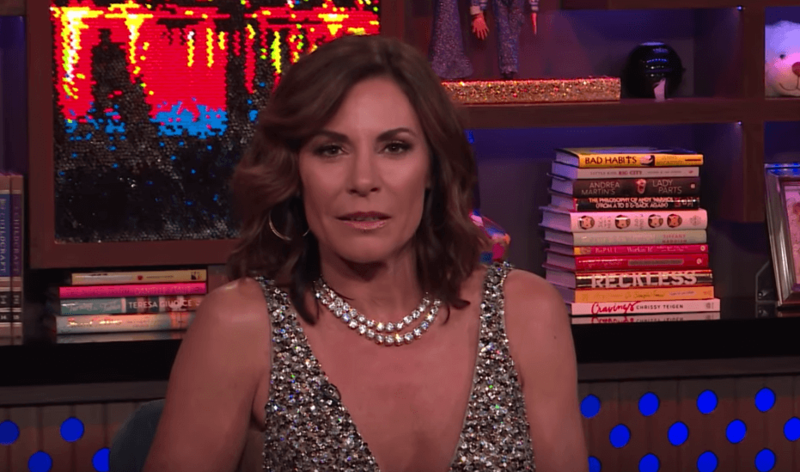 Luann de Lesseps missed the Real Housewives of New York reunion taping to get clean in rehab — but responded on Watch What Happens Live. On Wednesday, Andy Cohen rewound the Lu-relevant reunion footage, and the reality vet shot back, responding to her co-stars’ comments. Andy asked Luann to share her reaction to Dorinda Medley labeling her rehab stint a court-ordered jail dodge. Andy replayed Ramona’s assertion that Luann drowned her sorrows before taking her infamous header into the bushes, during a cast trip to Mexico. Did Luann take a topple after hearing some off-camera dirt about her then husband, Thomas D’Agostino? “I was upset because she [Ramona] told me some things about Tom that I did not know,” Luann confirmed, adding that she was glad that Ramona kept their exchange away from the cameras. Ramona made specific claims about Luann’s public fall off the wagon — and Luann partially denied her story. Luann confirmed that Dorinda was indeed heckling her at her cabaret show, and noted that her former friend’s behavior “speaks volumes.” She added that she did not see a friendship reconciliation with Dorinda, anytime soon. Luann confirmed that she had communicated with Bethenny Frankel since the death of Dennis Shields, before answering a viewer question about a possible pre-planned cast strategy. Andy asked Luann about her relationship with her children, in light of the reality star naming a filed lawsuit as the trigger that sent her back to rehab. The Real Housewives of New York is on hiatus.